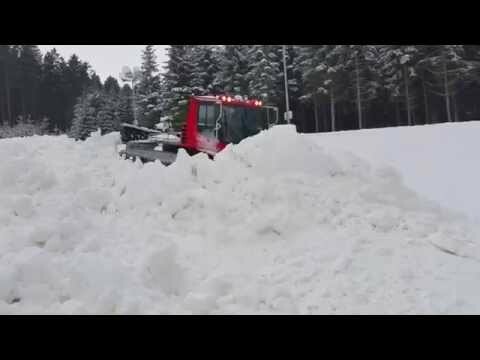 After the thaw last week the snow cannons in the Vysočina Highland are running at full “gas” again. With 25 days left until the start of the Cross-country skiing World Cup in Nové Město the preparations are in full swing. Readiness of local stadium will be first tested straight after Christmas when local biathletes will arrive to compete in the opening round of the Czech Cup series. 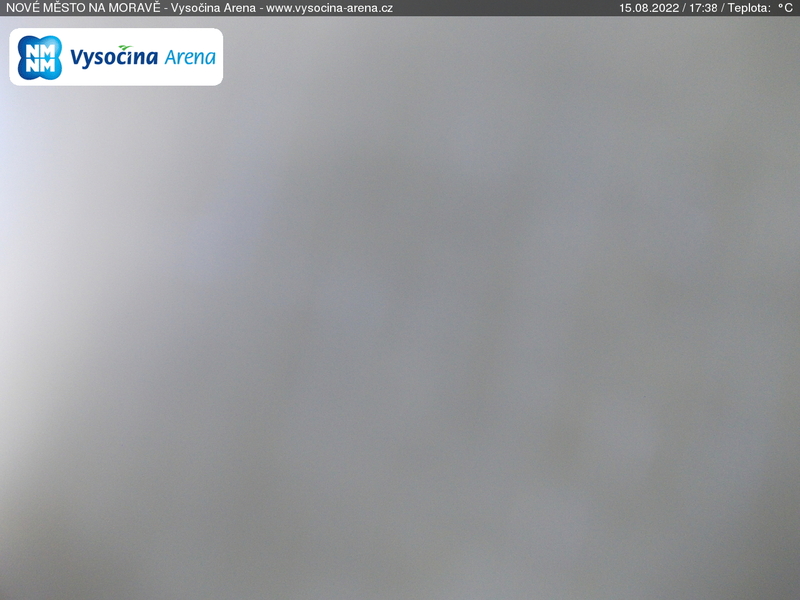 So far snow covers the Vysočina Areana stadium and adjacent tracks. Technical snow is also being produced in the area above the new tunnels and in the main depot on the parking area. However, the weather forecast is not very favourable. "We keep consulting the situation. Last year we had perfect conditions for snow production when we had cold weather already at the break of November/December, so we were able to fill our reservoirs within 5 or 6 days . This year’s fluctuations in temperature are nothing unusual so we have to face things as they come," explained the OC Vice-president for technical issues Vlastimil Jakeš. "We still have forecasted temperatures below zero for the days to come, which shall provide us with enough opportunities to produce technical snow in sufficient quantity. To achieve this we still need to make another ten thousand cubic meters," said Jakeš. The Sprint competitions in Nové Město will be raced on 1604 metres long track in the men’s class, women will compete on track over 1334 metres. The programme includes Individual Sprint events in Free technique on Saturday and Team Sprint events in Classic technique on Sunday. Currently there are 21 countries registered for the event, including five strongest ones according to the current World Cup ranking. Same of the federations have submitted name entries already. Russia have announced the strongest line-up of all with Ustyugov , Petjuchov, Kriukov, Gafarov and, especially, Vylegzhanin. The USA have entered Kikkan Randall, Sadie Bjordsen in the women’s and Hamilton and Newell in the men’s. A Norwegian team head coach Ulf Morten Aune personally confirmed Maiken Caspersen Falla and Celine Brun -Lie in the women’s and Ola Vigen Hattestad, Eirik Brandsdal, Anders Gløersen and Pål Golberg in the men’s. The deadline for entries is 10th January, which still leaves us with long time before the final line-up for the races is known. Nevertheless, 180 registered athletes and over 200 team staff seem to be good promise of high-quality racing with the extra spicing given by the fact that the event is, for some, the very last chance to get qualified for the Winter Olympics in Sochi.